“The Macarena” is trending again and not because homecoming is around the corner. For any typical 90’s kid, the hit song by Los del Rio was the song to jive to at every school dance, birthday party, and wedding. But now Distractify came out with a video to burst your bubble about the song and dance – which is actually the name of a person. They revealed the dirty secret behind the Spanish lyrics we never paid attention to by gathering up a group of 90s kids and making them listen to the song over again. Their innocence fades when they discover the song’s namesake is a girl who cheats on her boyfriend, Vittorino, with two of his friends while he is drafting for the military. Everyone was shocked with what they heard. 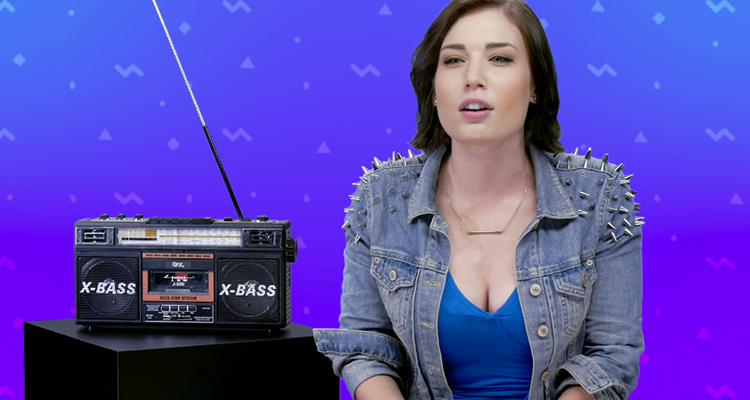 “They played this at my elementary school!” exclaimed a young woman in the video. And after they learn about her lewd behavior one woman said “What a b—ch.” Watch the clip above. The Spanish (Andalusian) dance pop duo, created the song during a private party hosted by Venezuelan empresario Gustavo Cisneros. He organized a flamenco dancer to perform during the party to which Los del Rio was impressed with her skills. According to Andalusian culture, Magdalena is associated with Mary Magdalene, who was a rather feisty and sensuous woman – sounds a lot like Macarena’s character. Whoa, that’s weird. Although she cheated on her boyfriend, people kept dancing about it and in 2002, VH1 named the Macarena the #1 Greatest One-Hit Wonder of All Time. Is “The Macarena” ruined for life? Be sure to let us know by hitting Facebook, Twitter, and Instagram.